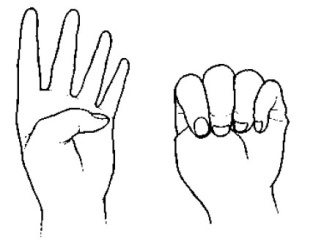 Also called as Aakaash (space) Mudra. Keyword for this Mudra is “expand”. This Mudra activates Jupiter inside you and brings abundance in your life. It will expand your horizon and get wider views of life and you will become a good judge of the life’s events. The teacher in you will be activated too. Person who is mean minded and selfish will become broad minded and selfless. This generates blue energy and thus activates throat Chakra. 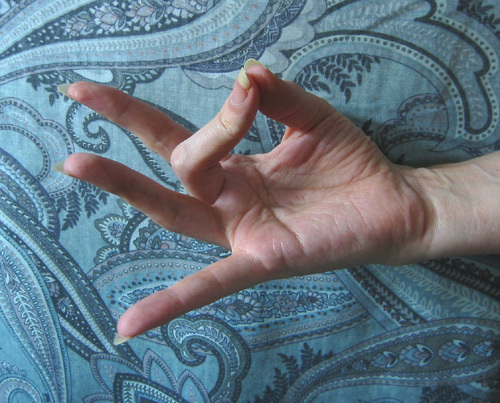 Chant Bija Mantra “Om Hum Namaha” while doing this Mudra.